During service life, materials and products can be subjected to short-term dynamic loads, some of these loading events could be predefined and some happen accidentally. It is important that the design of a new product accounts for these dynamic loads, meaning that often dynamic experimental tests are necessary during the design or validation phase. When the speed of a certain loading event is too fast for the human eye to capture , high speed imaging can be an extremely valuable analyzing tool. It allows to digitally record short-time events occurring in a few milliseconds or fast moving objects that cannot be viewed nor analyzed in real time. Images are recorded and can be rendered to a digital video giving greater insight in the actual behaviour, and this by slowing down the video frame rate to a speed that allows for visual analysis. High speed imaging is frequently used in material characterization to analyze the physical and/or mechanical properties of various materials and components. For example, when dropping a mass or object from a certain height onto a product, high speed images are used to perform impact energy studies and analyze first failure points together with overall structural integrity. In addition to the qualitative visual monitoring of the test, a more quantitative data acquisition can be set up synchronizing a high speed DAQ system (HBM Genesis 5i) together with the high speed cameras and external data signals (force, torque, strain gauges). The images taken during the dynamic loading even can also be used in combination with full-field Digital Image Correlation. Material designers and product engineers can use both qualitative and quantitative data sets to correlate and calibrate finite element material and structural models. Beside material characterization and model calibration, high speed imaging can also play a role in analyzing manufacturing and production processes, machinery kinetics and dynamics. 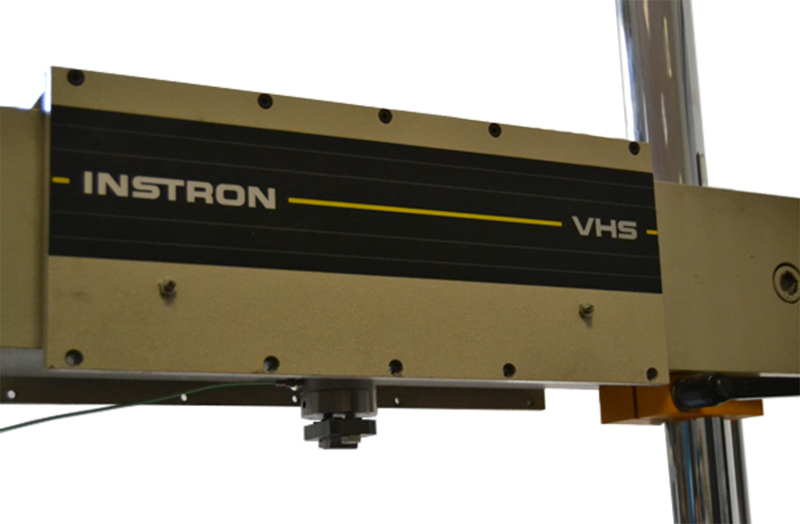 Techspert utilizes PHOTRON high speed imaging technology capable of capturing up to 500,000 images per second together with HBM Genesis 5i data acquisition systems which can record data from 20 kHz up to 100 MHz. 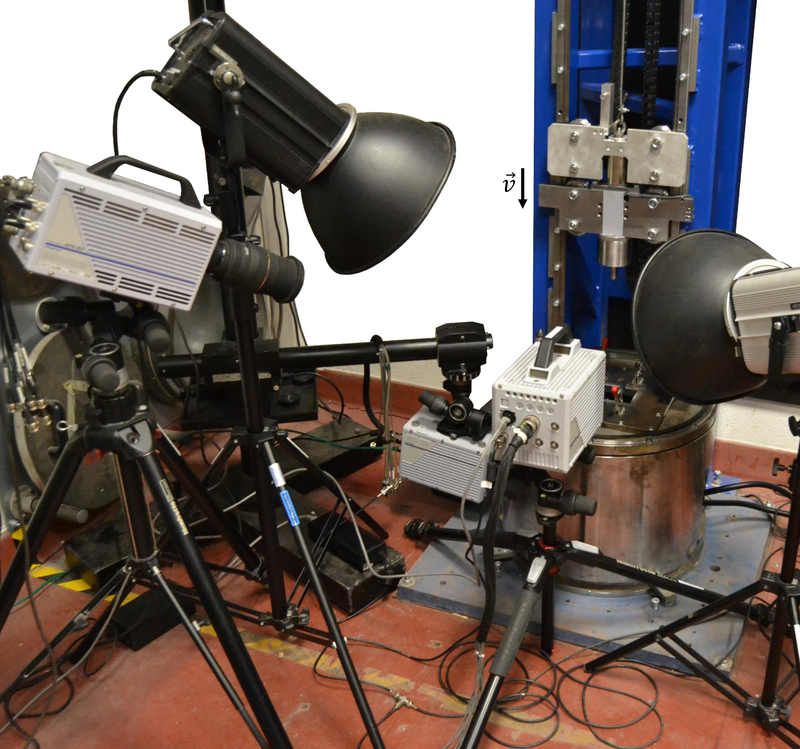 Drop weight impact test combined with in-situ high speed camera monitoring of the top and bottom surface. High strain rate tensile test of carbon fibre reinforced material combined with Digital Image Correlation strain measurement. Measurement of edgewise impact failure point of Silicon wafer material.